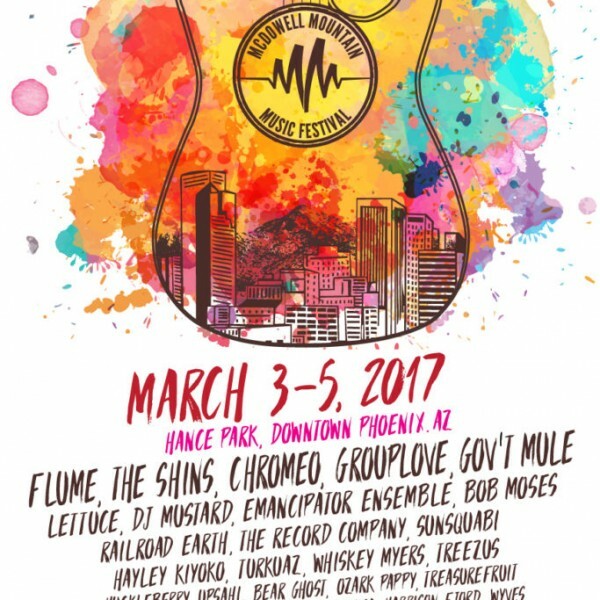 Celebrating the 14th anniversary, McDowell Mountain Music Festival has announced their lineup for this following March. 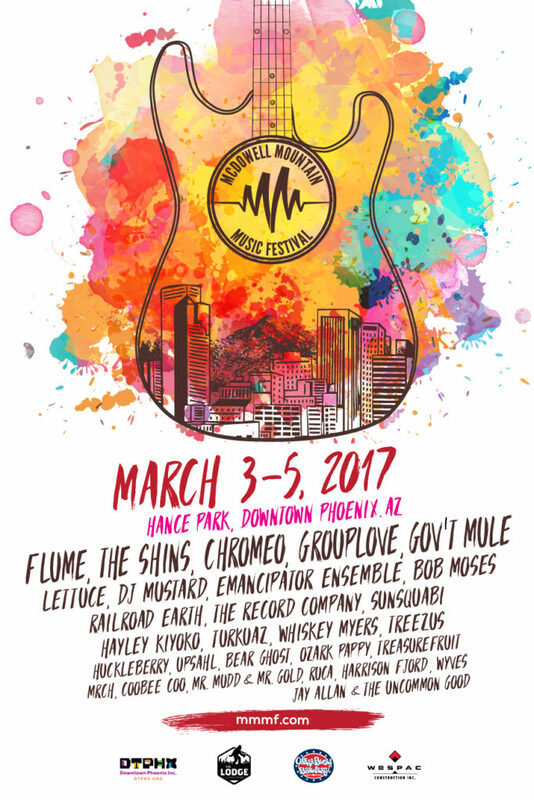 Appealing to a varietal crowd, MMMF 2017 is bringing back Kid Cudi, Beck, Porter Robinson, The Avett Brothers and so forth. Accompanying these veteran headliners entails Flume, DJ Mustard, Chromeo, Gov’t Mule and many more. “To connect the community through a festival gathering including music, arts and food. 100% of the proceeds go toward Phoenix Children’s Hospital Foundation and OMOM New Day Center. Since 2004, MMMF has donated over $1,000,000 to local charities. On their website, there is an entire page dedicated to thanking the sponsors for helping out with the festival. 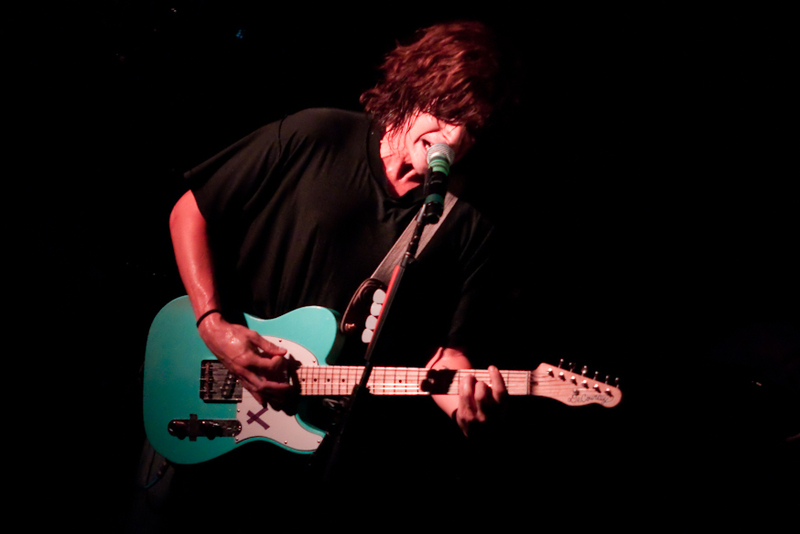 The sponsors range from Oscar Blues, The Lodge, Wespac, Titos Vodka, Buffalo Exchange and many more! Tickets went on sale in early November and are still available for purchase through their website. There are a few different options for the types of tickets you are able to purchase. Starting with basics; Single Day General Admission, Single Day VIP, 3-Day General Admission, 3-Day VIP. In addition to the epitome music selection presented, MMMF has a plentitude of food and beverage vendors associated with the festival. As well as, a “Vendor Marketplace” which includes a Henna booth, clothing booths, tapestries for purchase and more. Furthermore, a “Kid Zone”, “Activities” and “Free Zone.” Below is a complete list of performers.